New lichen species discovered at BFS! Kerry Knudsen, Curator of Lichens at the University of California Riverside Herbarium, has discovered a new species of lichen at the BFS. 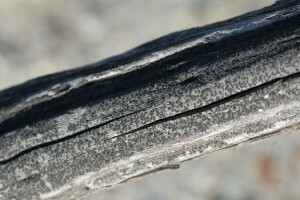 The new lichen, Lecanora munzii, grows on dead wood of Chaparral and Coastal Sage Scrub plants, especially California Sagebrush (Artemisia californica). This inconspicuous brown lichen produces an unusual chemical – gyrophoric acid – that is being investigated for its potential to fight bacterial infections, promote wound healing, and treat Type II diabetes. 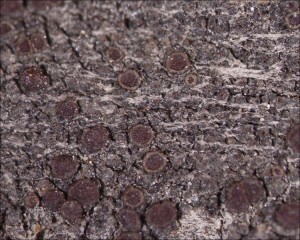 Lecanora munzii growing on dead wood at the BFS. Photo by Nancy Hamlett. 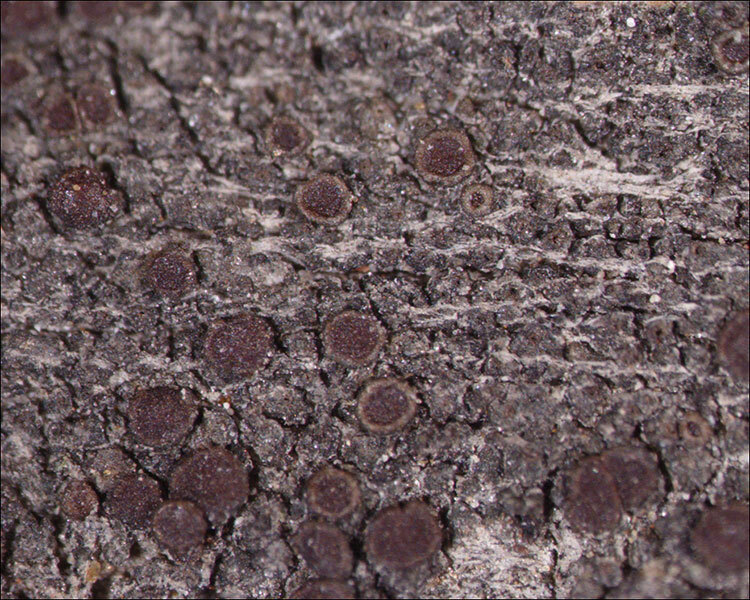 Close-up view of Lecanora munzii. Photo by James Lendemer, The New York Botanical Garden. 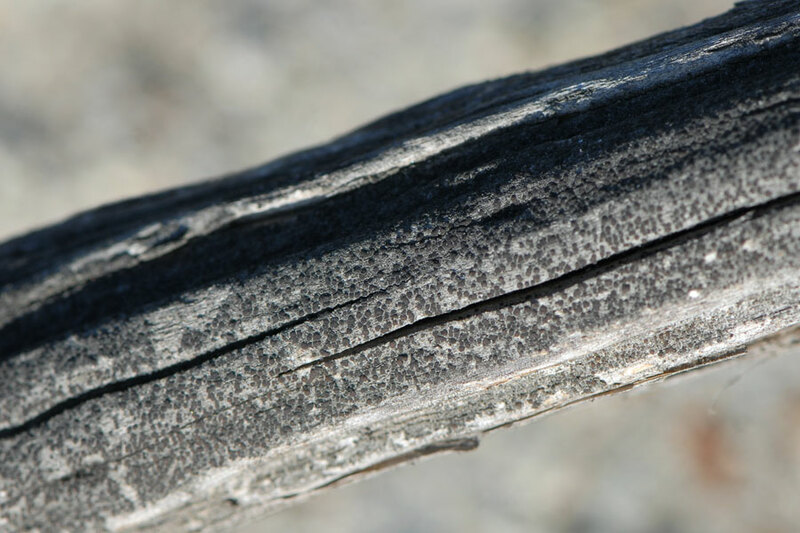 Because L. munzii grows on dead wood, it occurs only in old-growth Chaparral or Coastal Sage Scrub that has not burned frequently, but more frequent fires throughout southern California has made this type of habitat increasingly rare. 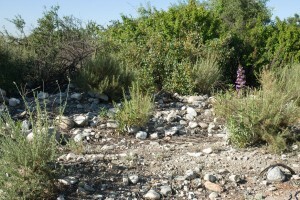 L. munzii is, however, abundant in old-growth Sage Scrub at the BFS, especially in the ‘Neck’, and the BFS which has been designated as the ‘type locality’. 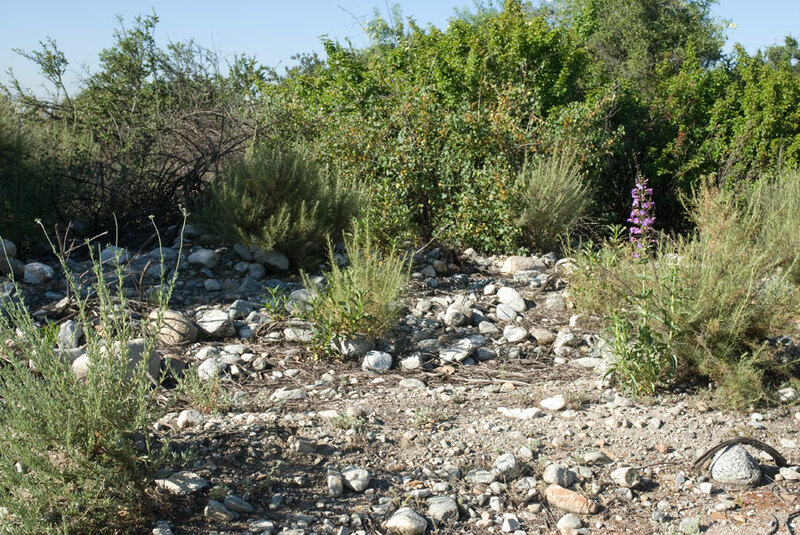 L. munzii has so far been found in only five other sites – all in southern California. Home of L. munzii — an area at the top of the ‘Neck’ with L. munzii growing on dead wood. Photo by Tad Beckman. and inspired his love of California’s biodiversity. 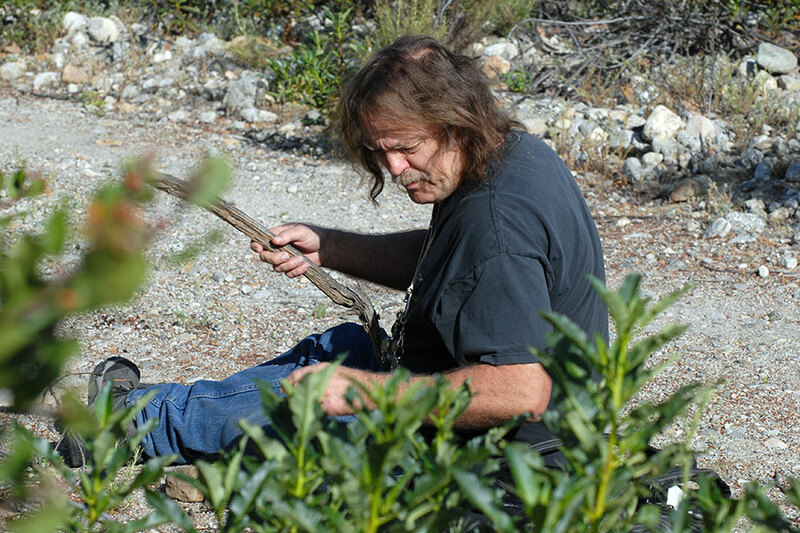 Kerry Knudsen collecting a voucher specimen of L. munzii. You can see more photos of Lecanora munzii on its BFS biota page.